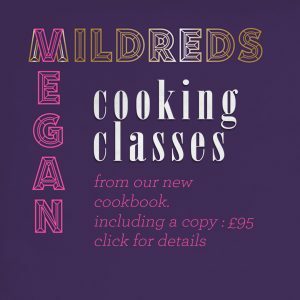 Mildreds is delighted to announce that we will be launching our second cookbook ‘Mildreds Vegan’ in February 2018. 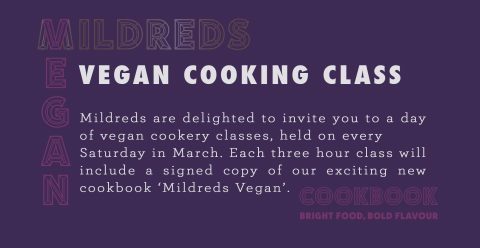 To coincide with the launch we will be hosting a month of cookery classes every Saturday in March. Each three hour class will include a signed copy of our exciting new book. Click on the image below to book!